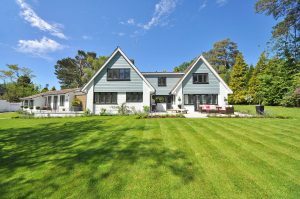 Why Hire Professionals For Lawn Cutting Services? Desires a beautiful backyard? Won’t have much time to maintain it? Is your yard losing its natural look? If yes, it’s better to hire professionals for lawn cutting services! Since they boast years of experience in the same field and it’s their everyday task so they can maintain and preserve it in the best manner that a person can’t! What’s more vital is to choose the best company who possess skills and expertise to perform the complete procedure in the correct manner. Get in touch with Murray Lawn and Landscape, if you are searching for the services of residential property maintenance at affordable prices. Might be you have a question in your mind why there’s need of hiring an expert for lawn cutting. Am I right? Not to worry! This blog will let you know the reasons for the same! Let’s get started! The professionals carry the correct tools that are needed for cutting lawn turfs. They have big machines that can be used for cutting the lawn well and in a minimum duration of time. It won’t make any sense to purchase the lawnmower to do it on own since it’s expensive and you won’t have that experience to get the best results. Professionals carry necessary tools which are an ideal means to perform a better job. Another thing is that one can save their much time by hiring professionals if you lead a hectic life. So, by hiring them you won’t have to fret regarding this and you can spend your precious time doing other vital things you truly love to do instead of working on the yard! You will get benefit by hiring them as they can do it in a short period of time that might take your entire weekend if you do it on own. By hiring them you will certainly get a quality service since they know how to attain better results. Doing it on own, at times, can damage your entire lawn which will cost you a lot later on in replacing the complete lawn. Everyone knows that maintaining a backyard is a time-consuming task and one single mistake can damage the appearance of your complete lawn. Cutting grass may trigger severe allergic reactions which can harm someone’s health badly. So, instead of increasing the chances of allergies, it’s better to hire professionals who can do this for you in a safe and better manner. Murray Lawn and Landscape is an ideal place that can offer you quality services of property maintenance in Ottawa as per your needs and desires.